Looking for a cheap and healthy snack? 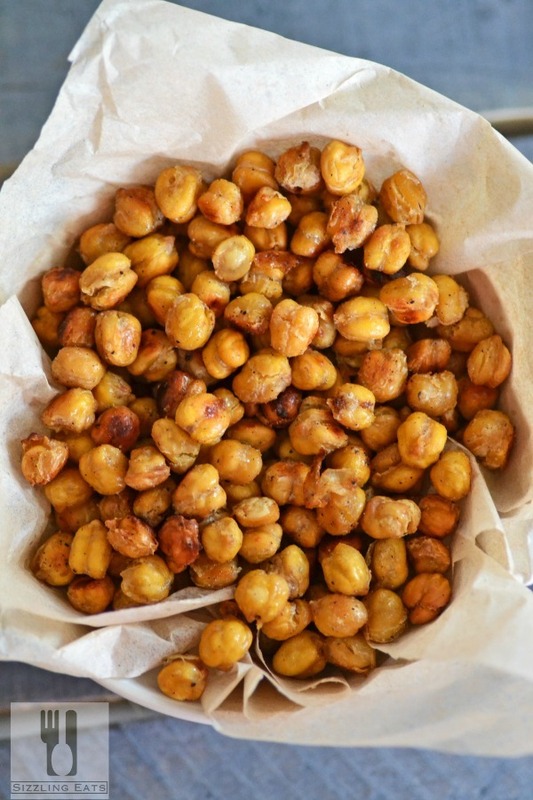 These oven roasted chickpeas (also know as garbanzo beans) make a great snack? As an added bonus, they’re gluten free! Check out this easy and tasty recipe. Ever since I was young, I always loved chickpeas. My mom used them in a variety of Portuguese meals because they’re so versatile and meaty. Even as an adult, I love them in cold salads, as hummus, and even as crunchy oven roasted chickpeas! 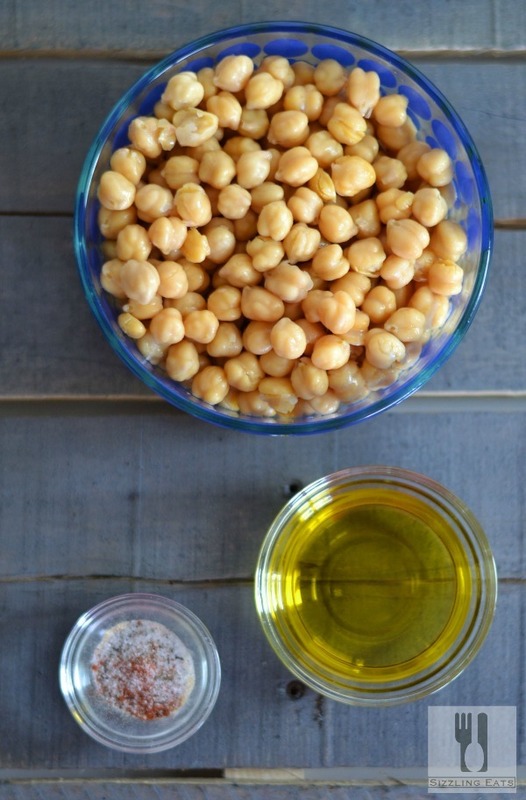 Have you ever turned an $.89 can of chick peas, also known as garbanzo beans into a crunchy snack? 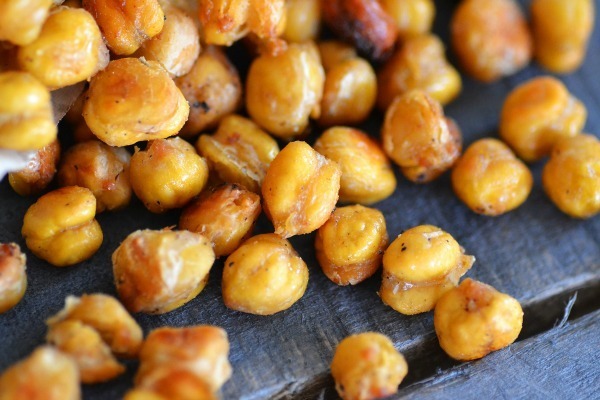 The very first time I tried crunchy chickpeas was at a friend’s party. She had a bowl of them, and I could not resist them! I had no idea they were so easy to make at home until I oven roasted my own. 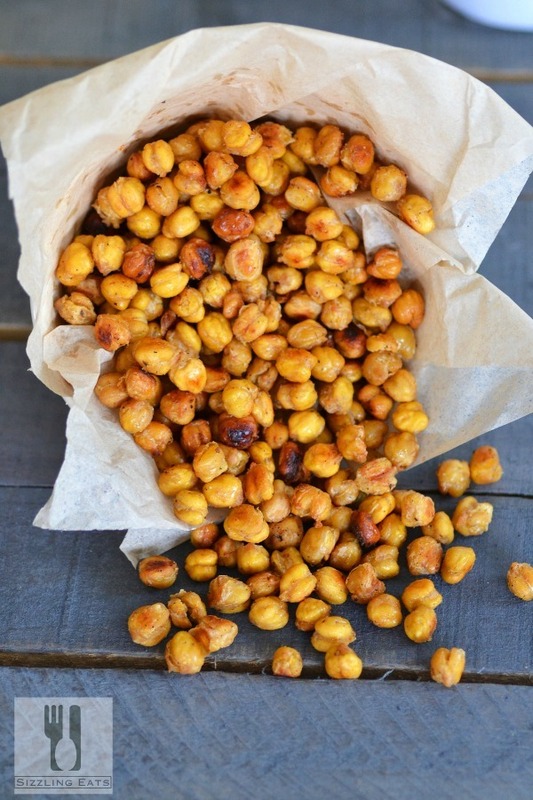 Making roasted chickpeas is so easy and far from rockets science! Simply pre-heat the oven, drain, rinse, dry and season. That’s all the prep work needed before the chickpeas are lined on a baking sheet and placed in the oven for about 30 mins. I am all about savory crunchy snacks so these were right up my alley! Even my little ones loved these crunchy snacks! The beauty of roasting chickpeas is that the flavor combinations are endless! You could make sweet chickpeas with brown sugar, and cinnamon, or really spicy ones with chili powder, and red pepper flakes–the list goes on! This time, I wanted a savory and slightly spicy snack, so I went with more traditional spices like salt, pepper, onion, and garlic powder. 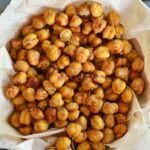 Oven Roasted Chickpeas are an inexpensive and delicious crunchy snack! They are very easy to make and super versatile! This recipe uses simple common spices to make a classic snack. Previous Post: « Patriotic Candy Apples!